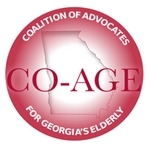 The Georgia Council on Aging publishes the Senior Issues Newsletter each month to share updates on legislative issues affecting Georgia's seniors. During the legislative session the Senior Issues Newsletter is published weekly to keep advocates abreast of issues affecting older Georgians. Be sure to sign up to receive our newsletter by clicking "Join our Email List."